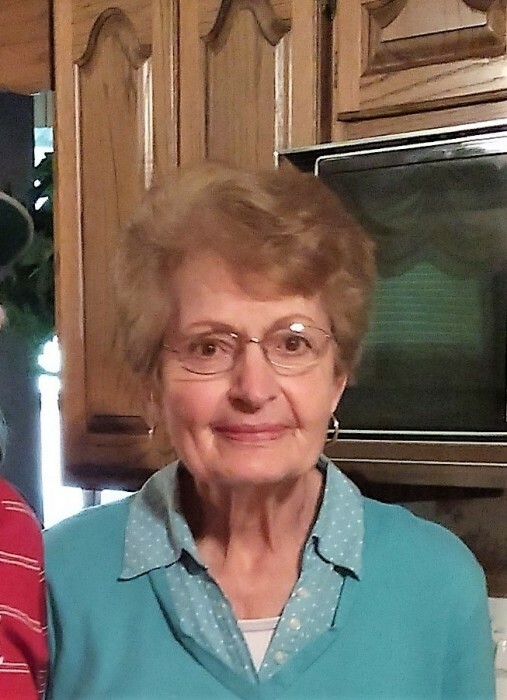 Mrs. Joan Floyd, 76, of Boaz, Alabama died Monday, September 3, 2018 at Marshall Medical Center South. Graveside service will be Wednesday, September 5, 2018 at 4:00 pm at Marshall Memorial Gardens with Bro. Steve Ogle and Bro. Morris Stephens officiating. Mrs. Floyd was survived by her husband Leon Floyd; son & daughter-in-law Jeff & Rachel Floyd; daughters & sons-in-law Rhonda & Bobby Ballentine, Connie & Anthony Hambey, and Sonya & Scott Rose; grandchildren Thomas Floyd, Tristan Floyd, Leah & Brad Gaylor, Haley Ballentine, Kalyn & Nick Bates, and Jason Hambey; great-grandchildren McKenna Gaylor and Elijah Gaylor; sisters Margaret Jones, Linda White, Carol Duncan, Mildred Brooks. She is preceded in death by her parents Simpson & Ollie Ogle. Pallbearers will be Thomas Floyd, Tristan Floyd, Bobby Ballentine, Anthony Hambey, Jason Hambey, and Scott Rose.